The next major entry in the “Pokémon” game series is heading to Nintendo’s Switch console in 2019, according to Nintendo. Unlike the “Pokémon: Let’s Go, Eevee!” and “Pokémon: Let’s Go, Pikachu!” games, this new game is considered a “core” entry in the “Pokémon” game franchise. This is the first time a main series “Pokémon” game has come to a Nintendo home console. Pokémon is coming to the Nintendo Switch – prepare yourself! Indeed, Nintendo says a “core RPG Pokémon title” is coming to the Nintendo Switch – not a spin-off, like “Pokémon Stadium” and “Pokémon Snap” way back on the Nintendo 64, but a full-on main series entry. The beloved Pokémon series of games has always been a portable affair. With few exceptions, the only way to engage with the long-running series was on Nintendo’s handheld consoles. But with this new entry, that’s about to change. 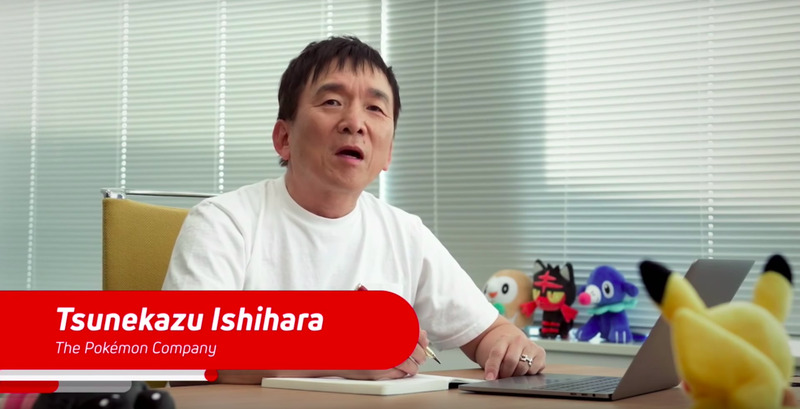 Nintendo announced the new Pokémon game in a brief statement from Tsunekazu Ishihara, the president of The Pokémon Company. NintendoIshihara appeared on Nintendo’s E3 2017 broadcast to announce the new Pokémon game, among other things, in June 2017. Without giving the game a name, or a release date, or even a look at the logo, Nintendo officially announced a new Pokémon game in June 2017. As far as “official” statements go on the game, that’s pretty much all there is. The game shows up in Nintendo’s financials with a placeholder name and a vague release window. The image above is from a recent Nintendo financial report, issued in October 2018. It classifies the new “Pokémon” game with a placeholder name: “Pokémon RPG for Nintendo Switch.” And the release window it gives is relatively vague: “Late 2019.” Sounds like the new “Pokémon” game for Switch may be Nintendo’s big holiday game next year! That means the new “Pokémon” for Switch has been in development for at least a few years – Ishihara revealed the game in June 2017, and it’s likely that the game had been in the works for several years prior to its announcement. The “Pokémon” games were already enormously popular – then “Pokémon Go” launched on iPhone and Android, and became the most popular “Pokémon” game by miles. 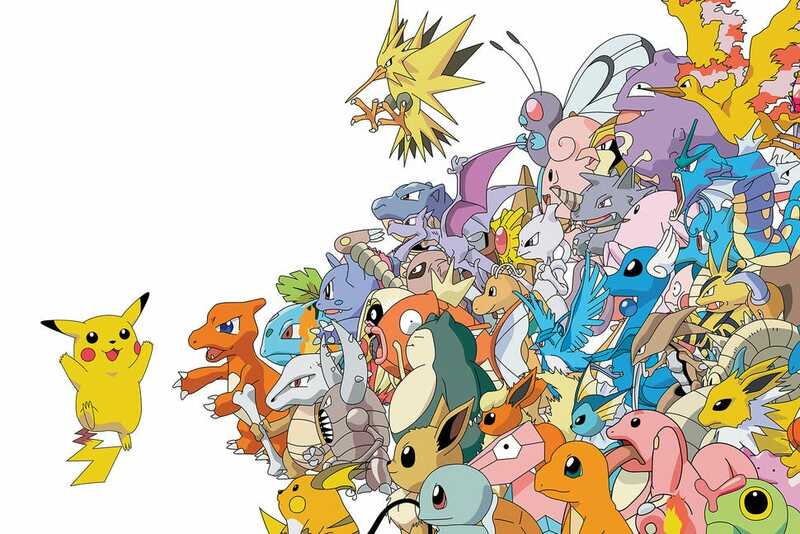 Nintendo’s clearly aware of the importance of “Pokémon Go” to the overall fan base, and the studio developing the new “Pokémon” game for Switch is reportedly “exploring ways to connect the main games to Pokemon Go.” Kotaku deputy editor Patricia Hernandez confirmed as much back in October 2016. Crucially, “Pokémon Go” is not the creation of Game Freak, the Japanese studio that makes major “Pokémon” games. It was made by Niantic Labs, a California game studio that was spun off from Google. The company’s first investors were a curious trio: Google, Nintendo, and The Pokémon Company. The new “Pokémon” game for Switch is being developed by Game Freak. That said, there’s precedent for Switch-based “Pokémon” games working with the smartphone-only “Pokémon GO” – the recent “Pokémon: Let’s Go!” games allow Pokémon to be transferred from phones to the Switch. Though Nintendo is focusing on its new “Smash Bros.” game right now, it’s likely we’ll learn more about the next “Pokémon” game sooner rather than later. 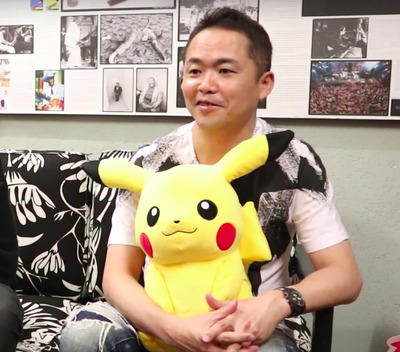 YouTube user ‘Newtiteuf’Game Freak director Junichi Masuda in a 2017 interview, hanging out with a close friend. With the recent launch of “Super Smash Bros. Ultimate,” Nintendo is currently all-in on the huge new fighting game. But in 2019, Nintendo’s only got a handful of announced games: A new “Yoshi” game, a new “Animal Crossing” game, and a big question mark for the rest. Maybe that new “Metroid Prime” game comes out in 2019? Maybe. What we know for sure is that the new “Pokémon” is scheduled for a “late 2019” launch, which – if Nintendo sticks to that release window – means we’re likely to hear much, much more sooner rather than later.